Planting season is well underway in Uganda, and our projects are busier than ever, reports our Head of Programmes, Dr. Samson Werikhe. We’ve had a busy few months here in Uganda. It’s been tough, but I’m pleased to report that our projects are going from strength-to-strength. What pleases me most is that we are seeing just how our work is benefitting people, transforming communities and making sure people no longer need to rely on the forest homes of the gorillas. February, for example, was an exciting time here. This was the start of planting season, so we were very busy getting ready for the months ahead. In all, eight Batwa villages received seeds and gardening tools so that they can get to work. Historically, the Bawta were forest people and hunter-gatherers, but now many live outside the protected National Park. Since they have no tradition of farming land, we have been helping them learn new skills. Our project leader, Regina, identifies and then trains several Key Farmer Trainers, who are then able to pass on their new knowledge to their own families and villages. This way, the Batwa can earn a sustainable income without having to revert back to the old ways of laying down traps in the forest – traps that can main or even kill gorillas. The communities around Mount Mghinga are where we need to focus our efforts. At the start of this season, eight Batwa villages received tools and seeds to grow Irish potatoes. This will help dozens of people! Regina has reported that, as well as providing them with a reliable source of food, the project is also bringing wider benefits. Sickness rates are falling and people’s health will hopefully carry on improving once work on new latrines is completed. We’ve identified positions for 32 latrines in the different villages and they should be finished very soon. What’s more, children who are not hungry or required to help with the hunt are able to go to school or study at home and so build a brighter future for themselves. Encouragingly, the work is being carried out precisely where it is needed the most. In the past year, we have re-organised our sustainable farming projects to ensure that this is always the case. 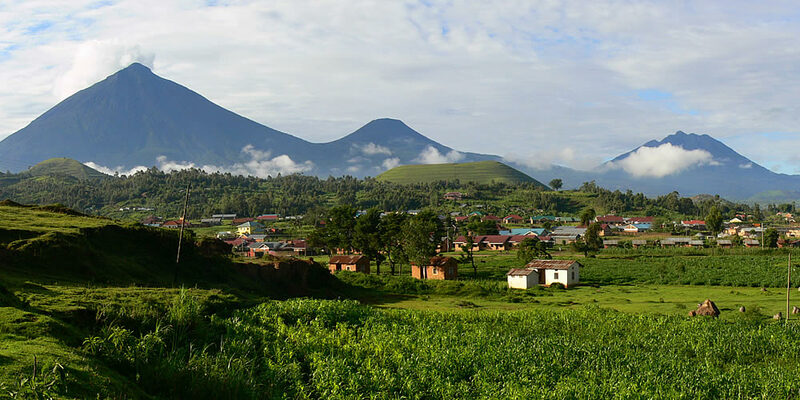 That’s why we are concentrating on training farmers who live on the slopes of Mount Mghinga – right by the edge of the gorilla habitat. It’s imperative we start here, though of course, we hope that Key Farmer Trainers who learn here will go out and spread their knowledge far and wide!